The Beoplay E8 are decent mixed-usage truly wireless in-ears, with a great design. They look and feel like premium headphones and have a durable build quality that's compact and stable enough for sports. They also have a comfortable in-ear fit that isolates better than some noise canceling headphones. Unfortunately, they can sound a bit sharp, and their control scheme takes a bit of time to get used to. High-end and durable build quality. The Beoplay E8 are well designed premium-looking headphones. The earbuds feel dense and durable and do not stick out of your ears like the some of the other truly wireless headsets we've tested. They're stable enough for most activities and come with 4 tip sizes to help find a comfortable fit, but they do not have any stability fins. On the upside, they're lightweight, they have a great charging case that's not too bulky, and a decent control scheme that's a bit difficult to use at times, but provides a lot of functionality. The BeoPlay E8 have a great-looking premium design. They do not stick out of your ears like the Apple AirPods or the Bose SoundSport Free. The materials used in their build quality feels high-end and durable. The earbuds are slightly angled to fit better within the contours of your ears and they also come in a couple of color schemes that stand out a bit more than the one we reviewed. However, the all white and all black variants are only available through the Beoplay website for now. These are decently comfortable truly wireless in-ears that come with multiple tip sizes. They have 4 silicone tips and a pair of memory foam comply tips that help you get a good and secure fit. The earbuds are also lightweight, and since they're truly wireless, there is no cable pulling on the buds which makes them less noticeable once in your ears. Unfortunately, since they have a fairly typical in-ear fit, unlike the Bose SoundSport Free, they do put a bit of pressure within your ear canal which may not be as comfortable for all users. 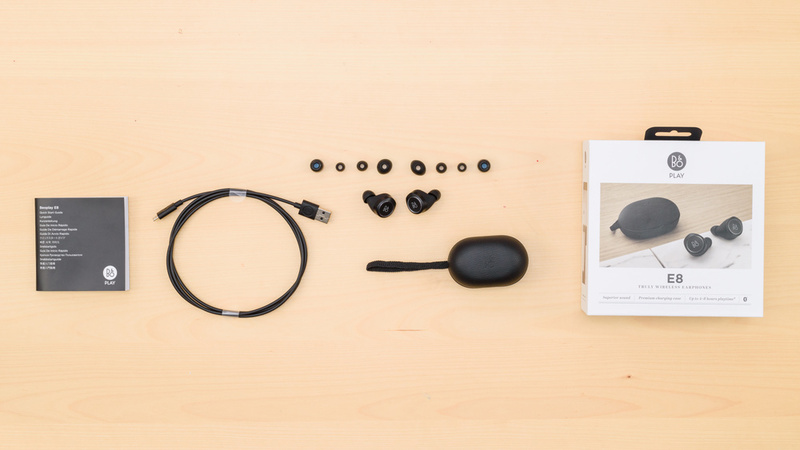 If you're not a big fan of in-ear designs, you may have some of the same issues with the Beoplay E8. They have a decent control scheme with a lot of functionality, but the touch-sensitive inputs can take a bit of time to get used to. They provide; call/music, track skipping and volume controls, as well as an ambient mode that you can quickly enable by tapping the left earbud. The rest of the controls are a combination of holds or multiple taps which can be slightly finicky at times. The volume controls especially are a bit of a hit or miss. You have to press and hold either the right earbud for volume up or the left for volume down. Unfortunately, since the touch-sensitive pads are not always responsive and there is no clear auditory feedback when turning up the volume, it can be a little frustrating. Like most of the truly wireless in-ears/earbuds (such as the Sony WF-SP700N), these are very breathable headphones. 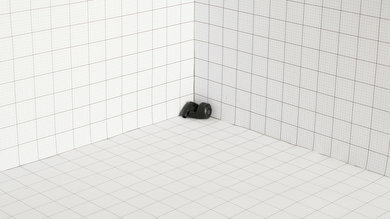 They're compact and do not cover the ears which barely causes a temperature difference when exercising or working out. They do trap a little bit of heat in the ear canal, but it's negligible and will not make you sweat more than usual even during more intense work out routines. Like the Jabra Elite Sport and most truly wireless headphones, these earbuds are very compact and easy to carry around on your person. They will easily fit into most pockets and the earbuds are a lot smaller than the Bose SoundSport Free. Their charging case is also fairly portable and does not stick out of your pocket like the Jaybird Run's or the SoundSport Free's charging case. These headphones come with a decently sturdy hard case that is fairly portable. It will shield the headphones from impacts and drops and has a decently high-end feel thanks to the leather coating. 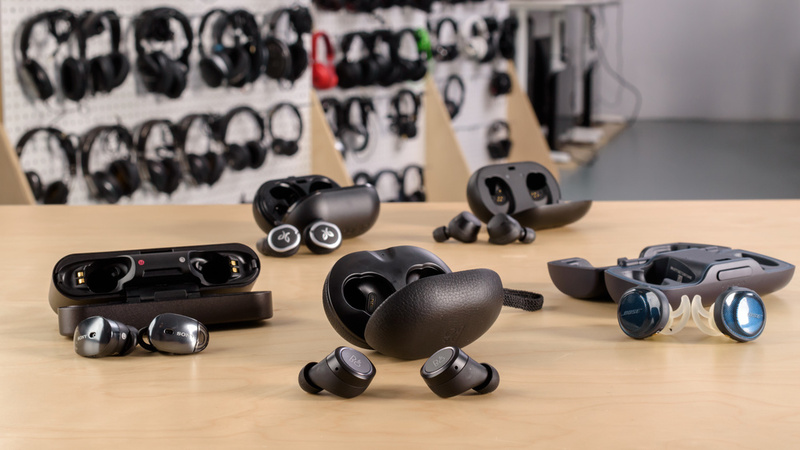 It's also more compact than some of the other truly wireless headsets we've tested so far like the Jaybird Run and the Bose Soundsport Free although it's quite a bit bigger than the Apple AirPods and does not have the metal finish of the Sony WF-1000X although it is much more portable. These earbuds like the more recent E8 2.0 have a great build quality for a truly wireless design that feels and looks premium. They're made out of a durable combination of plastic, rubber and metal which feels high-end and sturdy enough to not get damaged by a couple of accidental drops. The case is also decently durable and should shield the headphones from impacts and drops fairly well. It has a textured leather coating which makes it a bit less slippery and feels a bit more premium than the Jaybird Run's case. However, the hinge feels fairly weak and the case cover is fairly thin. 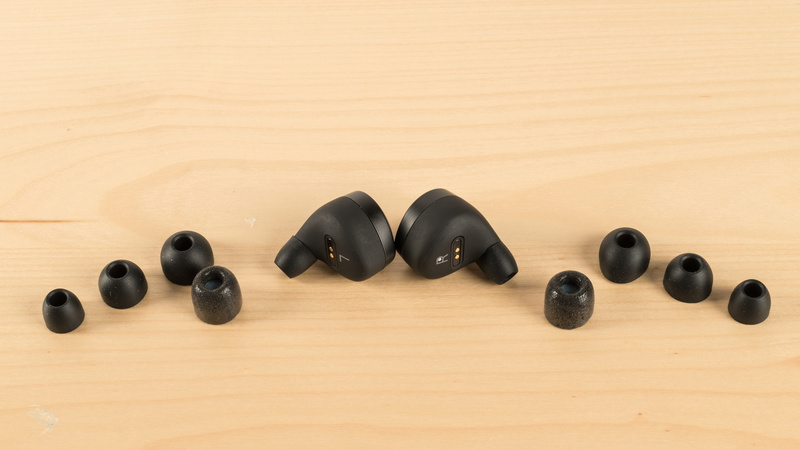 Overall, the E8 have a good build quality and are one of the more premium truly wireless earbuds we've tested only matched by the Momentum True Wireless. These are stable truly wireless in-ears and come with multiple tip sizes to help you find a good fit. The lightweight design does not move much once in your ears and should be stable enough for running and exercising. However, they do not have as many tips as the Jaybird Run so they may not be the ideal headphones for sports for all users and do not have any stability fins. 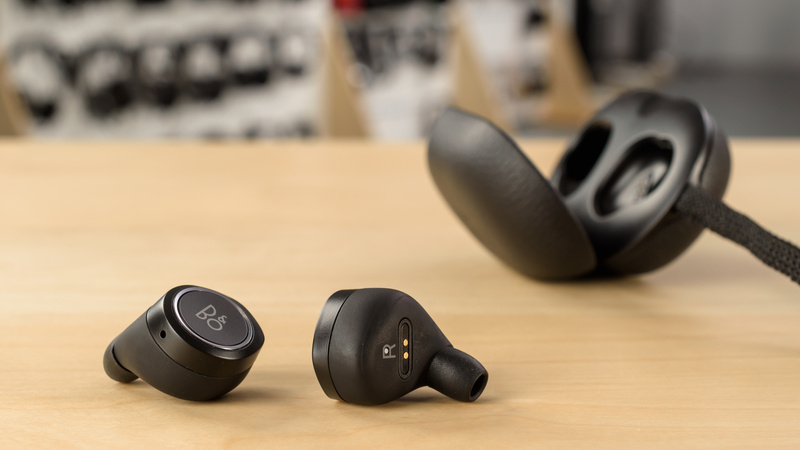 The earbuds are shaped to fit well within the contours of your ears but they do slip out from time to time and do not feel as stable as some of the other truly wireless designed we've tested so far. These earbuds come with a USB charging cable. 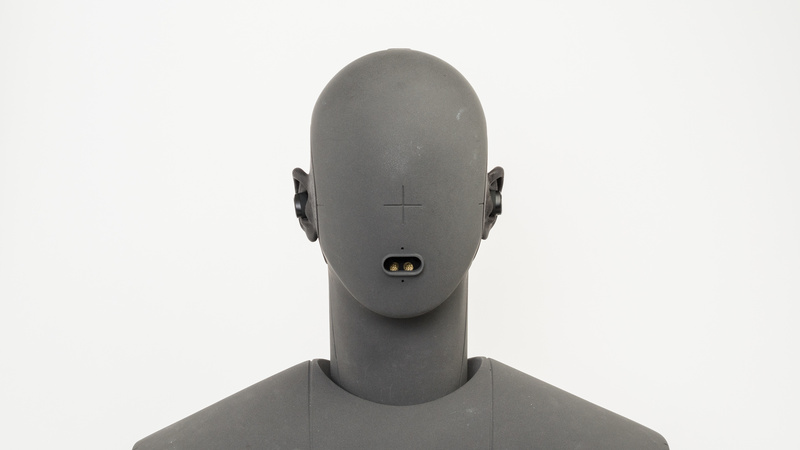 The BeoPlay E8 are an average sounding pair of closed-back in-ears. Their bass is very good, deep, and consistent with adequate thump, but it lacks a bit of punch and body. So although they can handle all genres quite well, fans of bass may prefer the X3, the SoundSport Free, or the BeatsX. They also have a good mid-range, but it is a bit muddy and thick sounding on vocals. Their treble, however, lacks quite a bit of detail and is sibilant (sharp and piercing on S and T sounds). Also, like most other in-ears, they don't have a large and speaker-like soundstage. They have a very good bass. Their LFE (low-frequency extension) is at 10Hz, suggesting a deep bass. Accordingly, low-bass is underemphasized by only 1dB, indicating a balanced production of thumps and rumbles common to EDM, Hip-hop, and film scores. Mid-bass, which is occupied by the body of bass guitars and punch of kick drums, lacks by about 3dB. High-bass shows a 1dB bump that continues into the mid-range, this adds a bit of boominess to the sound. Overall, the bass is well-extended and thumpy, but lacks a bit of body and punch, and could sound slightly boomy. The mid-range is very good. The 3dB bump in low-mid, which is the continuation of the high-bass overemphasis makes mixes a bit muddy and cluttered, and vocals a bit thick sounding. Additionally, mid-mid and high-mid, where the upper harmonics of vocals and leads sit, are quite flat and within 1dB of our target response. The treble performance is mediocre. Low-treble is under our target by about 4dB. This negatively affects the detail and presence of vocals and lead instruments. Conversely, mid-treble is overemphasized by about 4dB, suggesting a lot of sibilance (sharp and piercing S and Ts). They have excellent frequency response consistency. If the user is able to achieve a proper fit and an air-tight seal using the assortment of tips that come with the headphones, then they should get consistent bass and treble delivery every time they use the headphones. They have great imaging. Their weighted group delay is 0.16, which is very good. The graph also shows that the entire group delay is under the audibility threshold. This ensures a tight bass and a transparent treble. 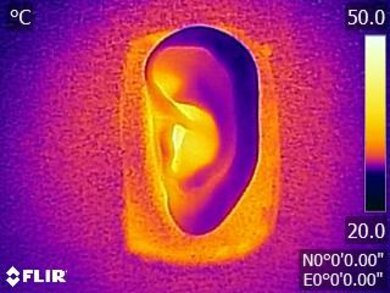 Additionally, the L/R drivers of our test unit were decently-matched, but showed some mismatch in frequency and phase response, which could have a small negative effect on the coherency of the stereo image. But it wouldn't affect the accurate placement and localization of objects (like voice and footsteps) in the stereo field. Like most other in-ears, the soundstage of these earbuds is poor. This is because in-ears bypass the pinna (outer ear), and don't interact with it, while activating the resonances of the pinna is one of the key factors in creating a speaker-like and out-of-head soundstage. 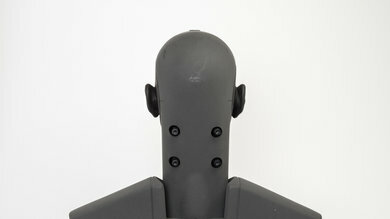 Also, because of their closed-back design, their soundstage tends to be less open than that of open-back headphones. The harmonic distortion performance is about average. In the bass range, they show little harmonic distortion, regardless of the level, which is great. This suggests that they may be able to take a good amount of EQ boost in the bass range before distorting. Their THD in the treble range however is a bit uneven and elevated, especially at higher SPLs. This could make their treble a bit harsh and brittle sounding. The Beoplay E8 isolate quite well passively and are even better than some noise canceling headphones. If you can get a good seal with the provided tips, they will prevent a lot of ambient noise from seeping into your audio. 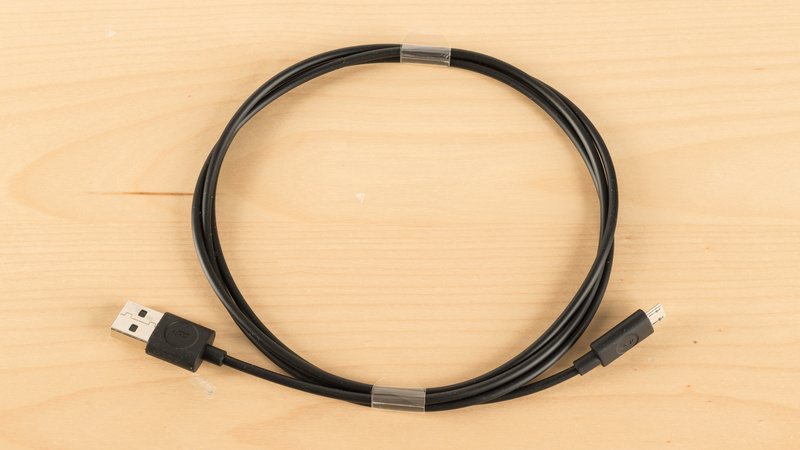 They have a more isolating fit than the Earset Wireless and they also barely leak, which makes them a suitable option to use on the bus, train or at work. The isolation is good (see our recommendations for the best wireless noise cancelling earbuds). In the bass range, where the rumble of airplane and bus engines sit, they achieve about 11dB of isolation which is above-average. However, for an in-ear without active noise-cancelling, this is quite impressive and similar to the X3, the Run, and BeatsX. 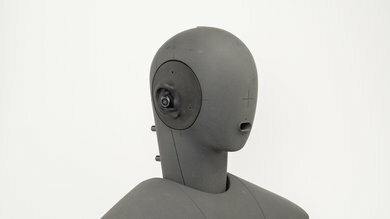 In the mid-range, important for blocking out speech, they achieve more than 19dB of noise isolation, which is very good. In the treble range, occupied by sharp sounds like S and Ts, they reduce noise by more than 46dB, which is excellent. The leakage performance is outstanding. It is concentrated entirely in the treble range, and at a very low level. Practically, their leakage is non-existent, unless you are blasting your music in a very quiet environment. The mic performance is mediocre. Speech recorded or transmitted with this microphone will sound quite thin and lacking in detail and presence. But it will still be relatively easy to understand in quiet environments. In noisy situations, however, they struggle to separate speech from ambient noise even in moderately loud places like a busy street. The recording quality of the mic is mediocre. The LFE (low-frequency extension) of 340Hz suggests a recorded/transmitted speech that sounds quite thin. The HFE (high-frequency extension) of 3.5KHz indicates a speech that is intelligible but lacks brightness and airiness. Additionally, the area between LFE and HFE is captured decently. The noise handling of the integrated microphone is mediocre. 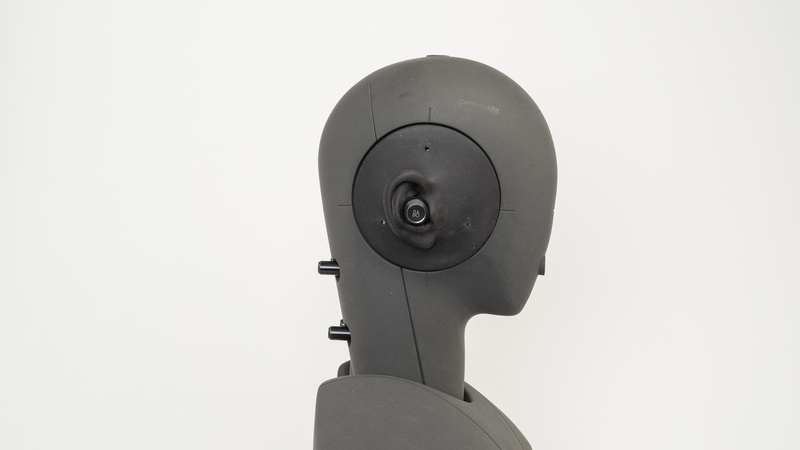 In our SpNR test, they achieved a speech-to-noise ratio of 12dB, suggesting they are best suited for quiet environments and may struggle to separate speech from background noise in moderately loud environments. 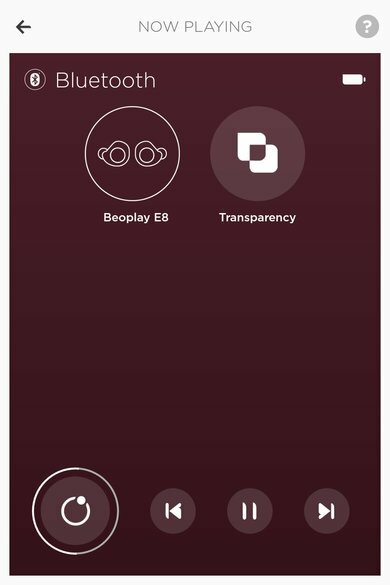 The Beoplay E8 have a decent battery life and a somewhat customizable app that feels just a little lacking in options. The earbuds last about 4 hours and the case provides 2 additional charges for a total of 12 hours of battery life. They won't be the ideal headphones if you have really long listening sessions but they should last you through the day. The app, on the other hand, feels a bit lacking. It provides a bare-bones preset equalizer that isn't as customizable and a transparency switch that you can adjust for different environments and that's pretty much it. They have a decent battery life at 4.1 hours of continuous playback and up to 12 hours thanks to the additional 8 hours provided by the case. You can check how many charges are left in the case with the two led indicators next to the USB port. They also charge fairly quickly at 1.2 hours for the earbuds and 2.5 hours for the earbuds and the case. It's not the best battery life but should be sufficient for most use cases unless you have very long continuous listening sessions. The Beoplay app looks good but lacks a few features. It provides a transparency switch with a couple of options for how much ambient noise is fed into the headphones. It also has a preset equalizer that makes a difference to the sound profile but isn't as customizable as the Jaybird MySound App. Overall it's a decently useful app but it could use a bit more customization options. The B&O Play E8 have an average Bluetooth connection. They do not support NFC or have multi-device pairing but have a good wireless range. Unfortunately, since they're truly wireless headphones they have no other connection option. They also have a quite a bit of latency so they won't be the best headphones for gaming and watching movies but should do well for most use cases especially if you keep your phone on you. 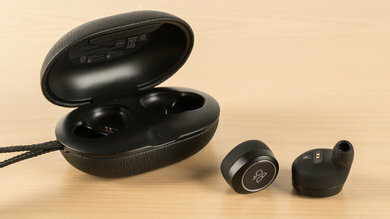 These earbuds, like most truly wireless headphones, only connect to other devices via Bluetooth. They do not have simultaneous multi-device pairing and do not support NFC. Their pairing procedure is also a bit tricky as you have to press and hold both earbuds for 5 seconds until the led indicator turns blue. Unfortunately, there's not much feedback or a distinct auditory chime to let you know you're in pairing mode. On the upside, they do remember the last paired device when you turn the earbuds on so if you're not often switching between Bluetooth sources they should be fine. They come with a charging case that provides an additional 8 hours of battery life but has no inputs. They have a good wireless range of 35ft when the Bluetooth source is obstructed by walls and up to 82ft in direct line-of-sight. They won't be the ideal headphones to use in a large office and they did drop connection once or twice in the right earbud. However, it wasn't due to the range which should be good enough, especially if you keep your paired device on you. These earbuds have a decent latency compared to other truly wireless designs. They have a bit too much latency for comfortably watching videos without any sync issues but compared to the SoundSport Free and Sony WF-1000X they perform a lot better which makes them about average for most Bluetooth headphones. The Beoplay E8 are compact truly wireless in-ears with a premium design. They're well built and decently comfortable and block a lot of noise passively. They also come with a great charging case that provides an additional 8 hours of battery life, which makes them decent enough for most uses cases. Unfortunately, they're quite expensive for a performance on par or sometimes worse than the competing models below. See our recommendations for the best true wireless earbuds, the best sounding wireless earbuds, and the best wireless earbuds. The B&O PLAY E8 are a slightly better truly wireless headset than the Sony WF-1000X. The E8 have a more compact and portable design and a better charging case. The E8 also have a better latency and a more balanced default sound that you can customize thanks to the Beoplay app. They also isolate a little better than the WF-1000x, despite not being noise canceling. On the other hand, since the WF-1000x have ANC, they do a bit better against low-frequency noise like the rumbling sounds of an engine. The B&O PLAY E8 2.0 is slightly better than their previous mode, but won’t be worth the upgrade if you already purchased the first model. Their case now supports wireless charging, and their treble range is slightly more accurate but is still very sibilant. However, the 2.0 model now has significantly higher latency than the first B&O PLAY E8 variant. Other than that, the two models are pretty much identical. 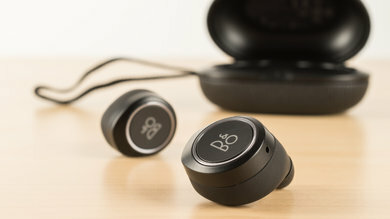 The B&O Play E8 are above-average truly wireless in-ears for mixed usage. They're great for sports and commuting thanks to their compact, stable design and surprisingly good passive isolation. They're also sufficiently comfortable for an in-ear and barely leak even at high volumes. Unfortunately, they have a bit too much latency for gaming and watching movies although they perform much better than other truly wireless designs. Pairing and their control scheme can also be somewhat of a hassle at times. On the upside, they have a decent, customizable sound that's a bit sharp but should be good enough for casual listening. Decent for critical listening. They have a well-balanced bass and mid-range but a relatively sharp treble reproduction. You can somewhat improve their frequency response with the Beoplay app but they won't sound as balanced as some of the other truly wireless headphones we've tested. Also, due to their closed in-ear design, they have a poor soundstage and won't be the ideal headphones for more critical listeners. Good for commuting. They're very portable and passively isolate against ambient noise better than some noise canceling headphones. Their control scheme can be a bit tricky to use at times but their decently comfortable design and relatively long battery life should be enough for most trips. Great for sports. They're stable and compact truly wireless headphones with a decently comfortable in-ear fit. They're very portable and come with a charging case that doesn't add too much bulk. 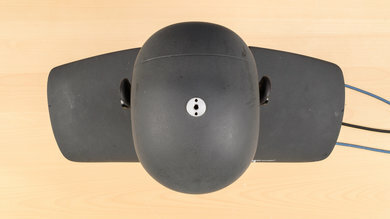 Unfortunately, their control scheme is not as responsive and they come with 4 tip sizes including foam tips but no stability fins so they may not be ideal for all ear sizes. Above-average for office use. They isolate well and barely leak even at high volumes. This makes them suitable to use in a lively or quiet office environment. Their battery life might not be ideal for long continuous listening sessions at the office but should be good enough for most use cases. Below-average for home theater. They have a bit too much latency for watching a lot of video content. 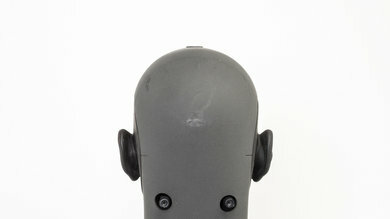 Also, their in-ear design, though decently comfortable, won't be ideal for watching movies and long videos. Below-average for gaming. They have a mediocre-at-best microphone and a bit too much latency for gaming. Their companion app is also not as customizable as most gaming-oriented software.